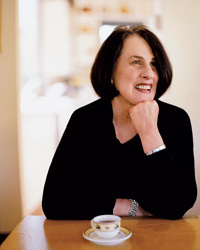 Whether from France, Italy or beyond, author Paula Wolfert’s simple and splendid recipes have one thing in common: Clay-pot cooking makes them incredibly good. As my friends know, I tend to rhapsodize (some would say go on too long) about cooking with clay pots. My book, Mediterranean Clay Pot Cooking, is devoted to the subject, and I’ve lost count of the hundreds of clay pots I own. I love their earthiness, their simplicity and, in some cases, the traces of their makers’ hands. Clay pots remind me that I’m working in one of the oldest food traditions. In more than 30 years of exploring the Mediterranean, I have found Moroccans simmering lamb in conical tagines, Spaniards preparing rice in shallow cazuelas, Italians stirring risottos in wide umidieras and Turks making all sorts of casseroles in güveçs. When I ask why they still use clay (even pots passed down from their grandmothers), they all say it makes the food taste better. I’ve also found that clay cooks foods more evenly than metal does, and it better blends the flavors of even the simplest dishes, like pasta with broccoli rabe and sweet raisins. For centuries, clay’s only downside was that it often cracked under high heat. Ordinary clay requires slow, steady warming, preferably with a heat diffuser (a thin metal screen) set between pot and burner. 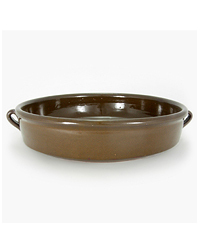 But recently, Emile Henry and Clay Coyote Pottery have released lines of flameware, a durable composite material. You can put cold water in a hot pot, place a hot pot on a cold surface, or set a pot right on an open flame without having to worry about it cracking. This year, I made my first tarte Tatin in a flameware pan, caramelizing the apples to an incredible burnished brown. Even a French grandmother would be impressed.